On this, the International Holocaust Remembrance Day, I would like to commemorate a teenage girl diarist and my grandmother. The girl who wrote the diary was not Anne Frank, but Mary Berg. 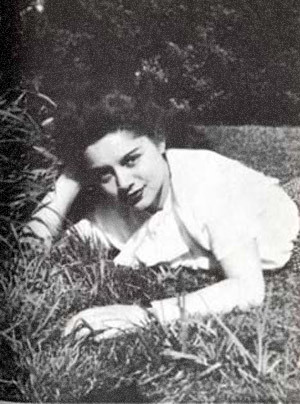 She was a Polish Jewish Teenager who survived the Warsaw Ghetto and told about her experiences in a series of articles published in 1944 after her escape to the U.S.
Mary in New York in 1945. 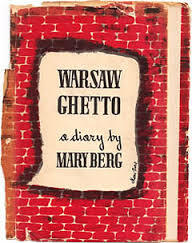 It was then made into a book the following year (1945) called Warsaw Ghetto. Original cover of Warsaw Ghetto. It is based on images drawn by Mary. You can read about this remarkable woman in this New York Times article by Jennifer Schuessler. Artifacts belonging to Ms. Berg were to have been sold in New York in November 2014, but the auction was cancelled after questions were raised by relatives. Mary Berg in various photos. 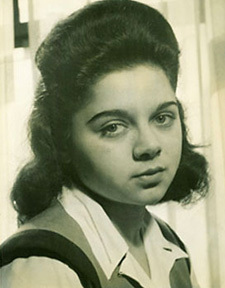 By this she means that Berg’s experiences–as a young girl and teenager–became part of the public record before Anne Frank’s definitive diary — first published in 1952. Another photo from the Berg estate. Some of Mary’s friends have armbands identifying them as Jewish. Mary was able to flee because her mother was an American citizen. 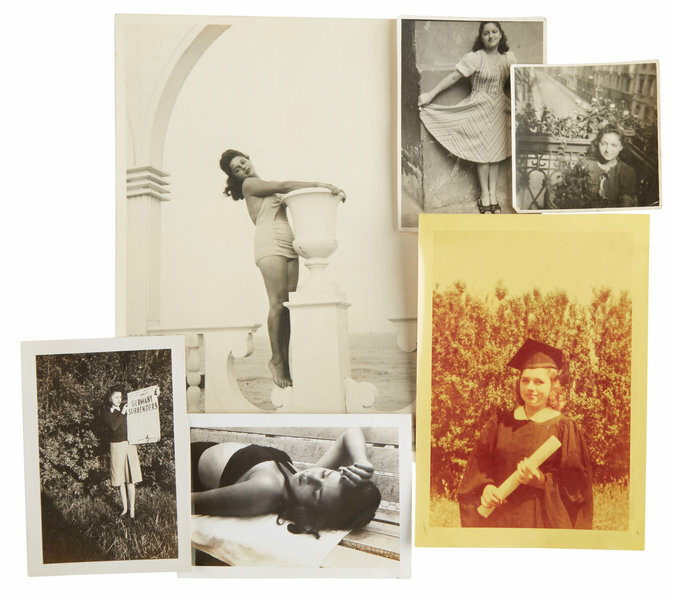 Though the original notebooks do not, so far as anyone knows, survive, her memories and recounting have entered the historical record as valuable first-person accounts. 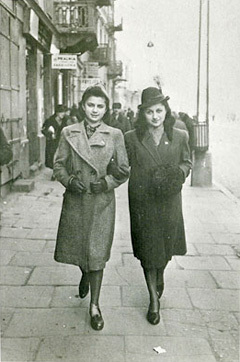 Mary and sister Ann (or Anna) in the Warsaw Ghetto. And Berg’s book had never been mentioned. 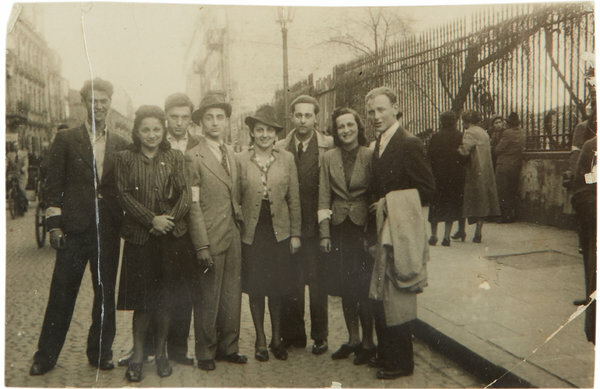 That son, Steven T. Powell, would like the heroism of various members of the family recognized, especially that of his grandmother (Berg’s mother), Lena Wattenberg, who got the family out of Poland. The story she tells is unique. She even illustrates it. 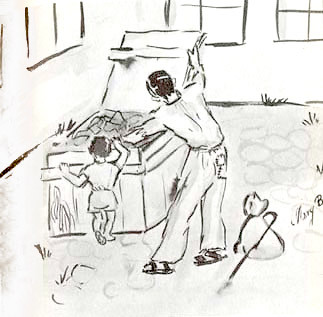 This illustration by Mary shows how people tried to find food in the courtyard. Her diaries were in twelve notebooks, preserved at least until she arrived in the U.S. A journalist, Samuel L. Shneiderman, helped her edit them and translated them into Yiddish where they appeared in an important Yiddish publication over a period of 10 months. After appearing in German and English language publications, the articles became a book. The most recent edition can be found here. Berg didn’t want to be seen as some sort of “hero.” She found that repugnant. You can read more about her reaction to promoting her story here. This short student video about her life can be found here. Diaries are key for understanding the past, since they retell what everyday people experienced. The diaries of my mother, Joan, end in February 1942. So she doesn’t relate anything concerning the Holocaust and the extermination of the Jews, Roma, homosexuals, political dissidents, or other people considered undesirable by the Nazis. But her story touches Berg’s in another way beyond that of being teenage diary writers. 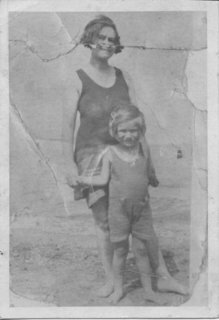 My mother’s mother, Neva Levish, was born in the U.S. in 1900. Joan age 4 with her mother, Neva Wehlen (maiden name: Levish). 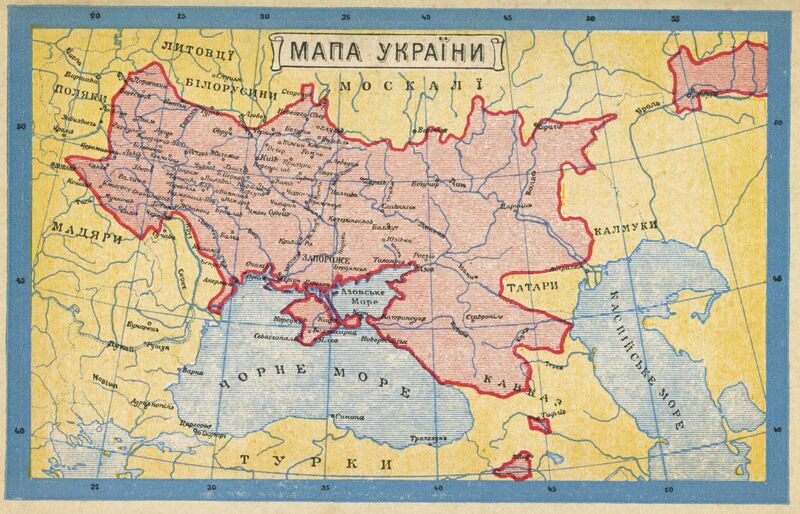 On her father’s death by suicide in 1902, she and her mother and brother returned to the parents’ home country of the Ukraine. They returned to the U.S. in 1905. Until I was in my 20’s, I had no idea my grandmother Neva was Jewish. She had converted in her teens so I only knew her as a very active Christian who would pay us kids 25 cents to read aloud a chapter from the Bible. Which of course we did since we wanted the money! I also had always been told she came from Russia, not the Ukraine. Now, borders of countries changed a lot, but still there were a number of things I only found out once I was an adult. Some I discovered after Joan’s death in her papers. In addition to her diaries, I found my grandparents’ birth certificates. I discovered my grandfather’s parents were not yet married when he was born (which must have happened a lot in the countryside of Sweden). And I discovered the name of my great-grandparents’ home town: Zolotonosha. Immigrants often kept things secret from the next generation, perhaps out of fear or the desire to assimilate. 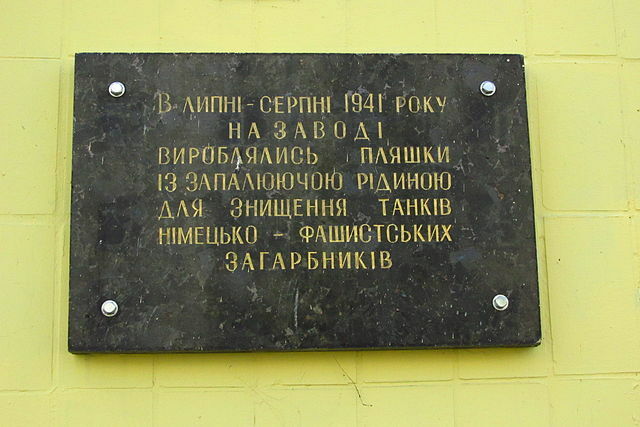 Memorial plaque to an event in 1941.It concerns incendiaries being released at a distillery. If you can translate this, please let me know! 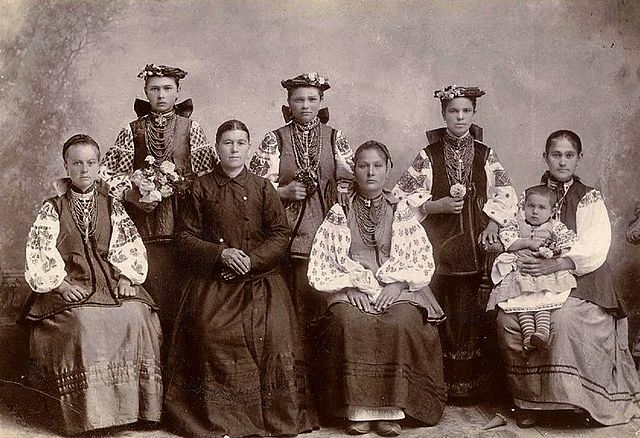 Ukrainian mothers and daughters in Zolotonosha, c. 1910. Diaries always give us a glimpse of the truth. And for that, we need to be diligent about finding them and making them available to historians and the public. The following image suggests how my grandmother would have suffered–even died–if she had stayed in her parents’ homeland. This is a monument in memory of Jews shot in a pogrom in the 1920. If you can translate this, please let me know! According to one site, Zolotonosha had 7,714 Jews in 1897, a short time after my great-grandparents had left. 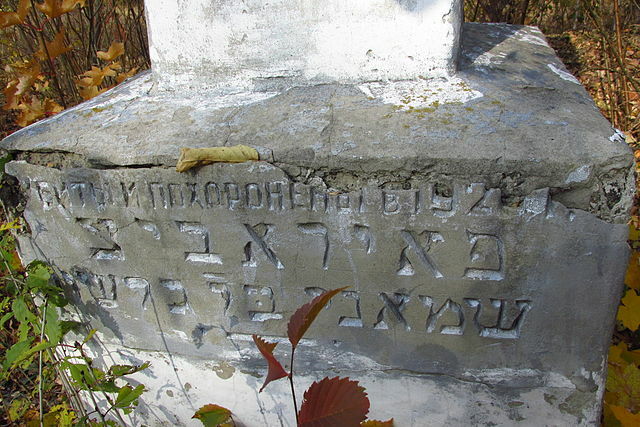 There were 2,769 Jews in the town of Zolotonosha. “Total population of Zolotonosha in 1897 was 8,739. Emigration, pogroms of 1905-1919, destruction of the Civil War, migration to larger cities and outside the Pale, the World War II devastation, and new waves of Jewish emigration followed.” My great-grandmother was lucky to leave in 1905. We need to be reminded that Jews were killed before WWII as well as during it. Listed as Neva Levash, she was a passenger on the Ryndam with the age of 3 (though she would have been at least a year older). The ship had left Boulogne-Sur-Mer and arrived in New York on July 11, 1905. As a U.S. citizen (she and her brother had been born in Chicago), there was no problem with her re-entry to the United States with their widowed mother. 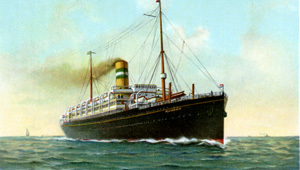 The Ryndam which my grandmother, Neva, sailed on in 1905. As for Mary Berg’s albums, there is good news about what has happened to them. The United States Holocaust Memorial Museum in Washington, D.C., has acquired them. This is crucial for preservation and research. As Anne Wolfe, Mary’s sister, says in a New York Times article about the museum’s purchase, “There are fewer and fewer people left who remember these events.” Let us hope journals like these remind people for posterity. Start the New Year right–with a book sale!! Home Front Girl and other Chicago Review Press e-books are on sale here and all through January!